Wired Poodle » Blog Archive » More projects! With St Patrick’s day coming up and snow falling outside, June and I spread out projects all over the floor this morning. 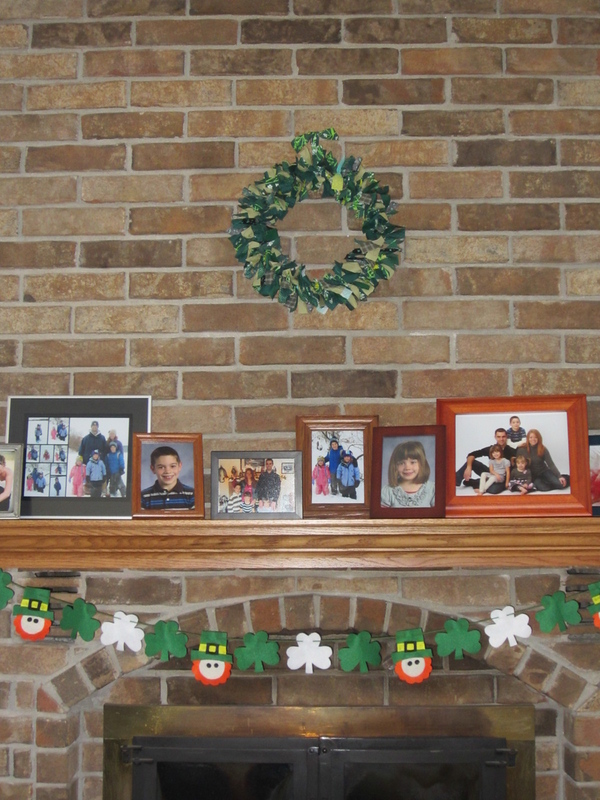 We finished up our garland for the fireplace. 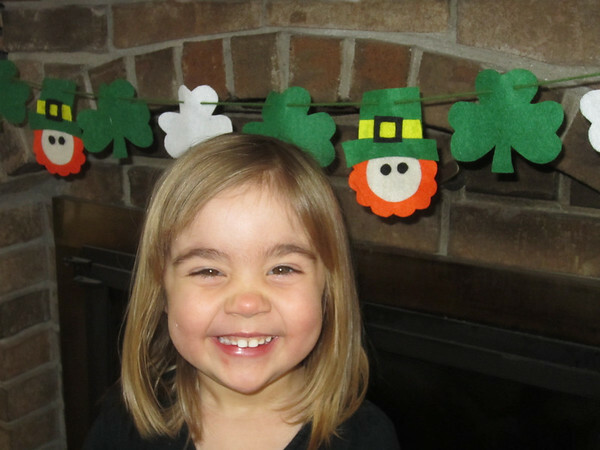 June helped me glue all the pieces together for our felt leprechauns. 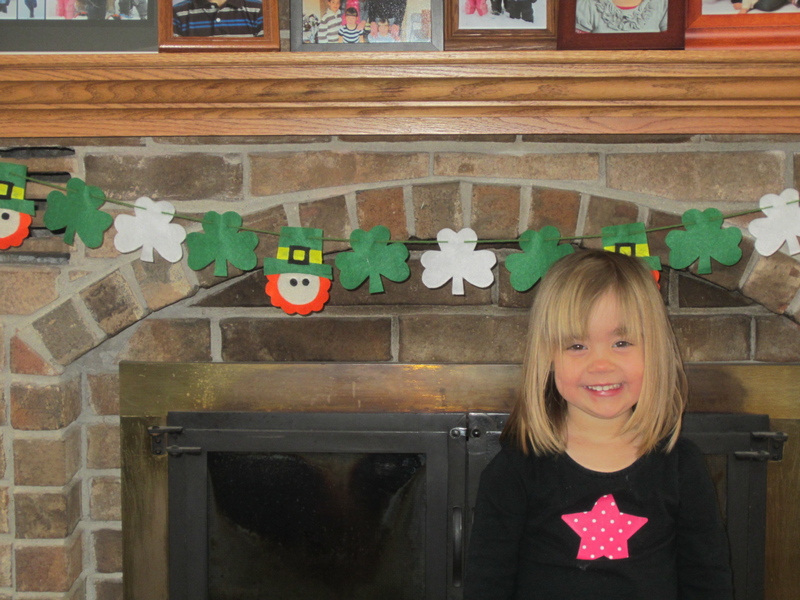 We used a big needle and yarn and she handed me the leprechauns and shamrocks in a pattern to string up. Next we finished tying on our material scraps to a wire hanger to make a wreath. 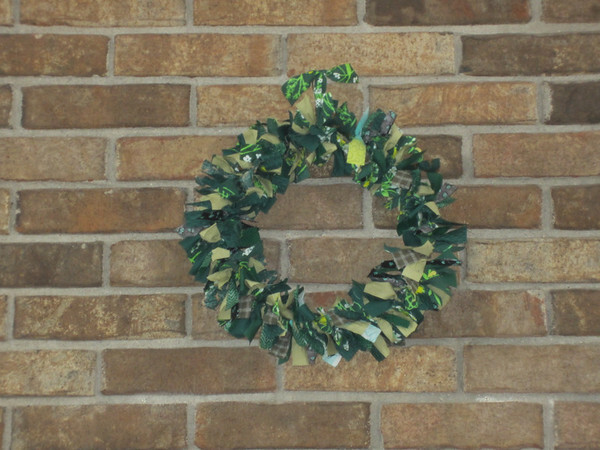 June found all the green material in my scrap bucket, I cut strips 1″x6″ and tied them to a wire hanger. 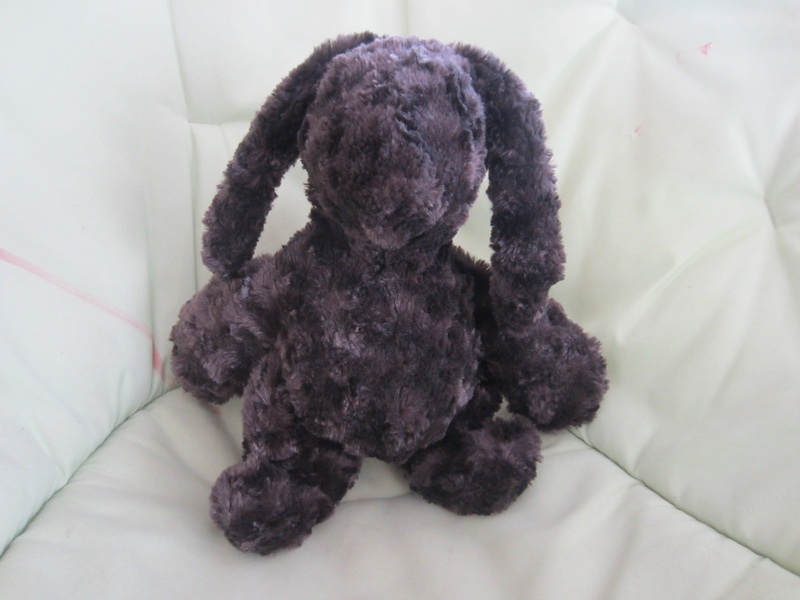 I also found a bunny pattern in the pile of Grandma Terry’s pattern. It didn’t look too fussy, so I thought I would try it. I bought some fur material, sewed him up and June claimed him right away. 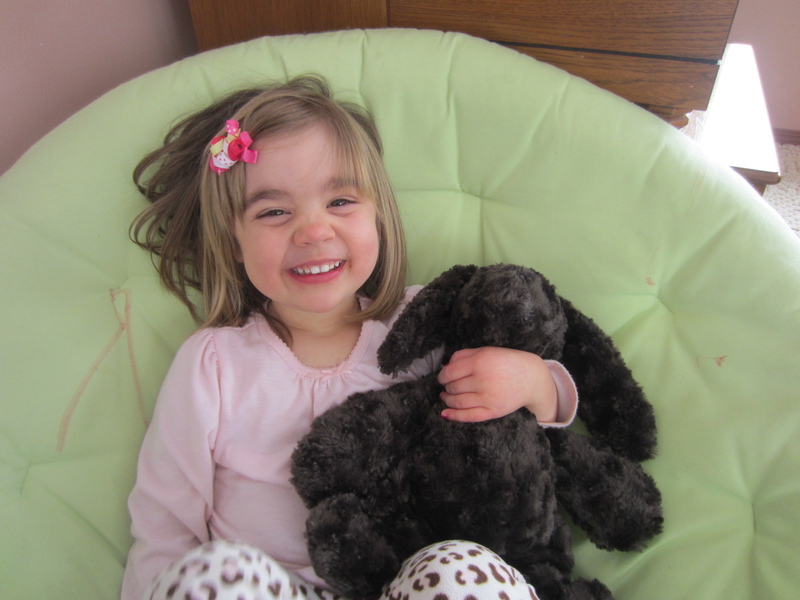 She named him Marley Fluffy Marie Neils. He’s soft and squishy. Jacey now requested one made out of hot pink fur. That one is in the works.